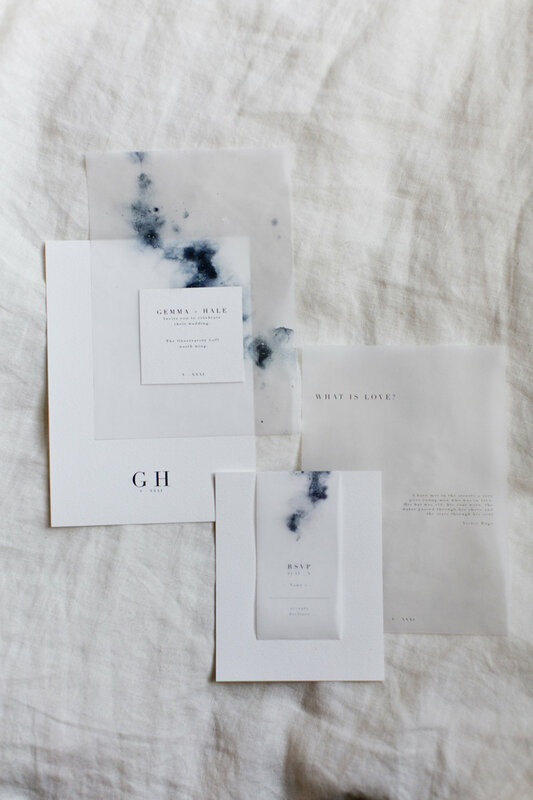 Light and etherial, the Stargazer suite is a modern blend of clean type and celestial washes, dotted with stars. 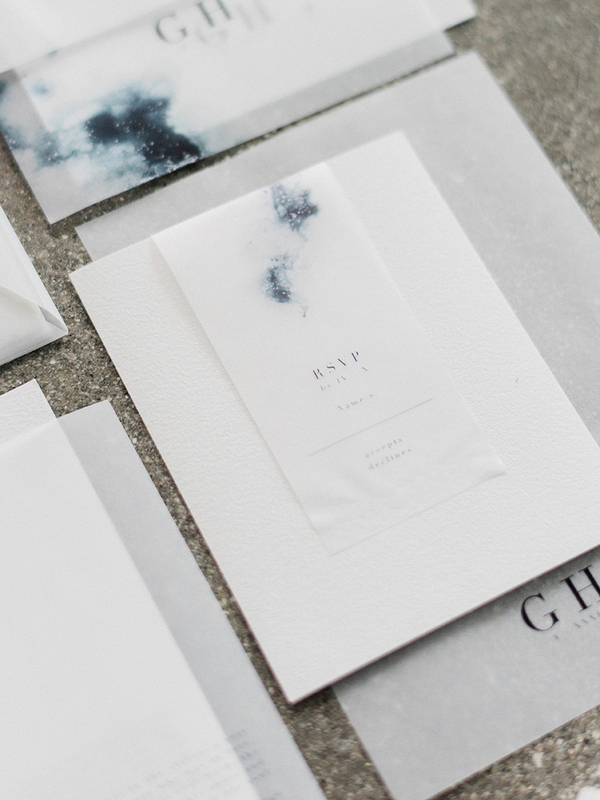 This suite features a blend of luxury card stock and transparent vellum for a layered, weightless effect. Note: because vellum is so thin, the adhesives necessary to create this suite will cause slight wrinkling, as you can see in the photos.